Do you want to take your kids on an epic family vacation in 2018? There are so many incredible places to see in this world, it can be hard to decide where to go. Here are 15 destinations that would easily make for an epic family vacation in 2018. 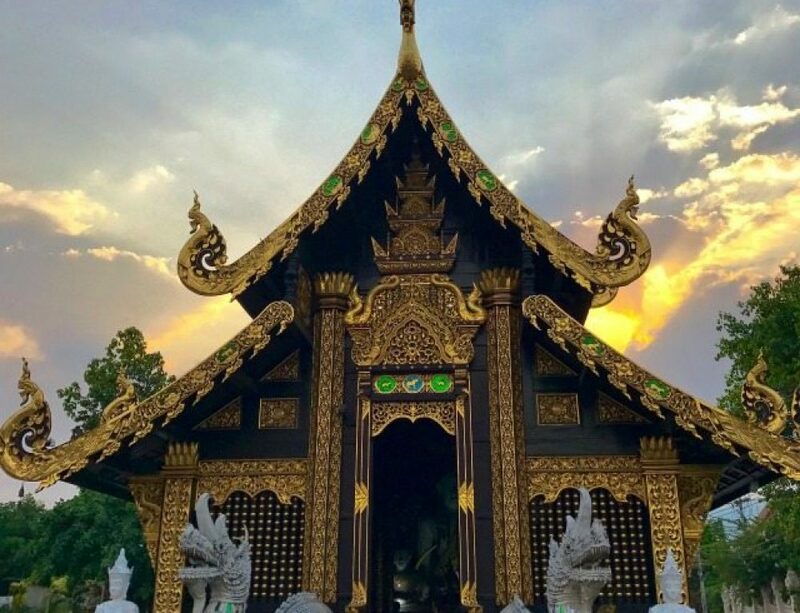 Chiang Mai, the capital of northern Thailand, is one of the best family holiday destinations in south east Asia, according to Thailand Hill Tribe Holidays and I couldn’t agree more. There’s a plethora of activities for kids, and plenty for mum and dad to enjoy too. From its fascinating hill tribe villages and ethnic minority culture, to elephant sanctuaries and waterfalls. The only problem you’ll have, is finding time to fit everything in! The area itself is very photogenic, surrounded by lush tropical forests and lofty mountain landscapes. There’s a lot to discover outdoors, and trekking is one of the most popular activities on offer here. 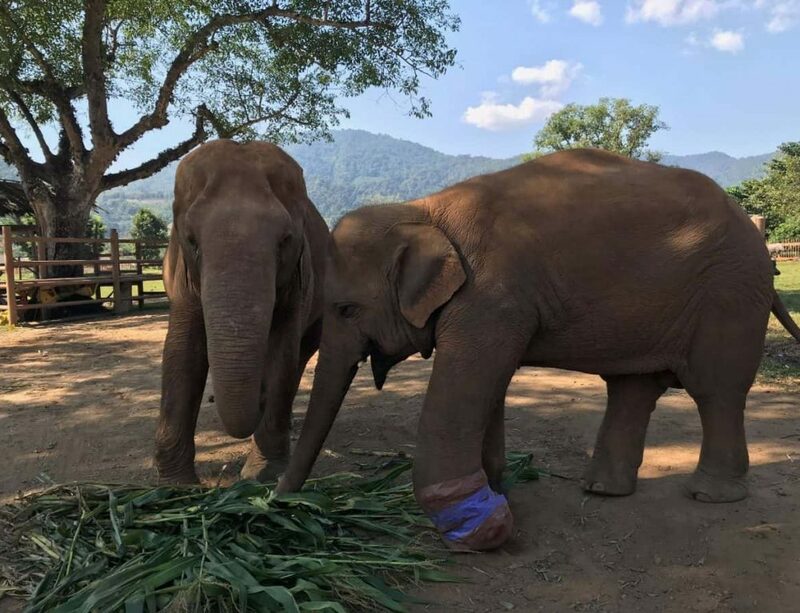 The other benefit of travelling to Chiang Mai, is that it provides great value for money. Accommodation, attractions and food, are comparatively cheaper than Bangkok and the touristic islands of the south. So if you’re travelling as a family, it’s a much more cost-effective destination. A trip to New Zealand is on the bucket list for many because of the ever-changing stunning scenery, fascinating Maori culture, hospitable people and beautiful nature. According to Fun Traveling with Kids, there is no better place to start your family vacation in Aotearoa (the land of the long white cloud aka New Zealand) than in Rotorua. Rotorua combines lots of things that New Zealand stands for: steaming lakes, bubbling mud pools, impressive geysers, as well as a rich history of Maori culture. It offers lots of (free) fun activities for children of all ages. How about glow worm watching, kayaking, cycling, soaking in natural hot pools, going for a tree walk up on huge Californian coastal redwoods? Or, watch a cultural performance in a traditional Maori village, try the healing mud pools or go rock climbing. Rotorua is home to the world-famous luge, that was invented here in 1986 and is an exciting fun activity for all ages. Smaller children can go down the luge with an adult. The Skyline luge also offers stunning views of Lake Rotorua and the surrounding area. You can go up on the Gondola which is a little adventure in itself. If going down the hill on the luge is not on your bucket list than just relax at the family-friendly cafe and enjoy the picturesque views. Another of our favorite and highly recommended activities is a visit to the Rainbow Springs Nature Park, which is situated next to the luge. You can easily spend a whole day in there. One of the main attractions here is the native Kiwi bird (national icon) who you can admire in their natural habitat. With a day pass, you can go back in the evening and watch the Kiwi in the outside area (without a glass window) which is an incredible experience. Throughout the day you and your children can watch the Eels feeding, Trout feeding, exotic birds, and Water Dragons, just to name a few. Kid love ‘The Big Splash,’ an adrenaline racing water ride that plunges down a 12-meter drop and is included in the admission fee. The trip lasts 9 minutes and takes visitors through New Zealand’s history. For more information on fun activities for families in Rotorua and the surrounding area, please click here. A Tasmania road trip is a bucket list item for many travelers, old and young; and according to Claire’s Footsteps it’s a fantastic place for families to visit in 2018. Little ones will love the nature’s playground that Australia’s most beautiful state provides; there’s amazing day hikes, magical forests to play in, and stretches of coastline with water that screams out to be swum in. Take your children to the enchanted Liffey Falls for a tranquil picnic, race them up Stanley’s ‘The Nut’ which is an ancient volcanic plug and then enjoy exploring the colorful town afterwards, or – if they’re feeling energetic – challenge them to a climb up the famous Cradle Mountain. They’ll certainly be sleeping well after summiting this peak! Tasmania is definitely a children’s paradise, but there’s plenty for the adults to enjoy as well. Drive up to the top of Hobart’s Mount Wellington for a breathtaking sunset that all the family will love, or enjoy the city’s picturesque waterfront and the Salamanca Markets. Or give your children a history lesson at the Port Arthur Historic Site – Australia’s most famous convict location – and enjoy an after-dark ghost tour. The best type of accommodation when travelling Tasmania is camping. There’s campsites all over the island state, with lots of facilities perfect for little and big ones! If your kids aren’t exhausted after the day hikes, let them splash around in a campsite pool, spring onto a jumping pillow, or play on the swings and slides that are part of many campsites. End the day with an Australian style barbecue and one of the gorgeous sunsets that Tasmania is famous for. Sydney is one of those places you could take the kids for a weekend or even a week and according to Travel with Little One there will also be plenty of places to return to next time. The first place you should take them is Circular Quay, the main hub for the city’s ferry network. Take them on a ferry ride out on the harbor – all ferries leaving the Quay pass between the Sydney Opera House and the Harbour Bridge, and a journey across the Harbour is a memorable way for them to see the sights and for you to get your bearings. Sydney has a huge range of attractions geared towards kids, and many of them are clustered around Darling Harbour, just to the west of the CBD. These include a huge open air playground with climbing frames, swings, fountains and a carousel just outside the city’s main visitor centre, and a host of museum attractions including the Sea Life Aquarium, where you can walk under a tunnel looking up at sharks. One of Sydney’s best attractions is Taronga Zoo, which is located on a hill with stupendous views of the Harbour and city. The giraffes have the best views in town, looking across to the Opera House and skyscrapers. You can also camp out overnight in the Zoo, joining a Roar and Snore sleepover. Sydney also has lots of great parks where the kids can burn off any excess energy. We love the one at Rushcutters Bay with its Greek café, and the new, more central one at Barangaroo, which has fantastic views of the Harbour Bridge. For an evening out, the traditional fun fair at Luna Park is a great place to take the family, with rides suiting everyone from toddlers to teenagers. Christchurch, New Zealand is a fantastic destination for families, according to Le Long Weekend. 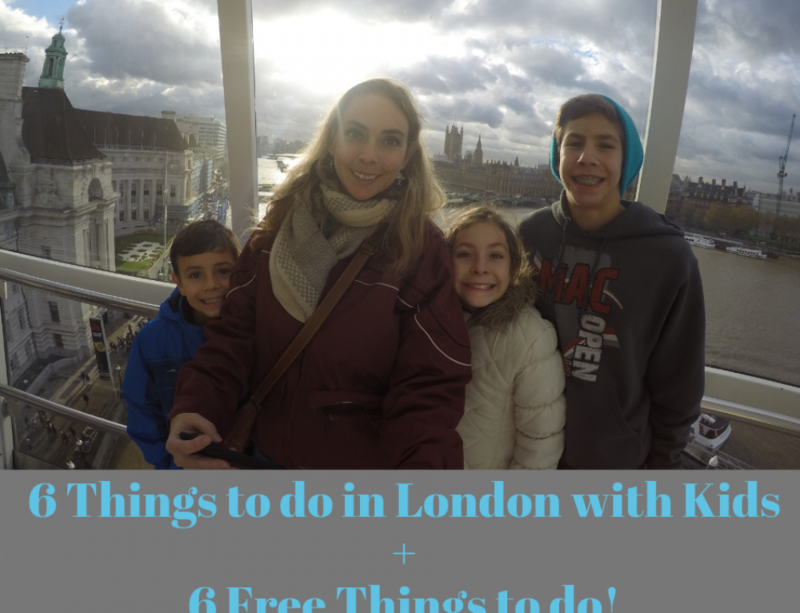 It’s absolutely bursting with fun things to do, and many of them are completely free! Kids will love the city’s many playgrounds, including the newly built Margaret Mahy Park, which is the Southern Hemisphere’s largest playground! Head to Orana Park – New Zealand’s only open range zoo – to learn about both native and exotic animals, and visit Willowbank Wildlife Reserve where you’re guaranteed to meet a Kiwi up close. Immerse yourself in the city’s history at both Quake City – a museum dedicated to the Christchurch Earthquakes, and the Canterbury Museum with its amazing ‘Discovery’ kid area. Families who love the outdoors will enjoy climbing the Port Hills by Gondola, taking the ferry to Quail Island to see the white-flippered penguins, going for a walk through the kid-friendly Botanic Gardens, and testing their endurance on a high ropes course. And on rainy days you’re well catered for with the exhibitions on show at the Air force Museum of New Zealand, the endless creative possibilities at Imagination Station, and the icy wonderland that is the International Antarctic Centre. But apart from all of the fun attractions, it’s also incredibly easy to get around Christchurch. It’s largely a flat city, making it ideal to bike around, and you’ll have no trouble navigating the wide streets. Just watch out for the inner city one-way system! There are large open spaces and green playing fields at every turn, and if you fancy getting away from the city for a day – there are multiple destinations nearby for the perfect day trip! Costa Rica is many things to many people. There are the amazing wildlife opportunities, where you can spot a sloth or monkey before setting foot into a national park. Night walks allow you to find all the creepy crawlies of the jungle as well as some mammals that are nocturnal, like the tapirs and ocelots. Nature is everywhere in Costa Rica so if you love to get outdoors, then you have your choice of national parks, volcanoes, and waterfalls. If you are keen for a play, then Costa Rica is the birthplace of the zip line and there’s something for young and old. You can attempt the longest line in Central America or try something more Superman style for an extra thrill. For those who just need some time to relax you can find natural hot springs to soak in or a tropical beach to sip on a freshly cut coconut. Choosing a beach is probably the hardest thing you’ll do all vacation as there are so many different types. The more traditional sandy beach, like Conchal Beach, can be great for learning to surf and sun baking. For something more rustic, you can hike 30 minutes through a national park to get to Manuel Antonio Beach, where you can lie in the surf while listening to howler monkeys in the background. If you’re keen to get off the beaten track, the Osa Peninsula has Corcovado National Park, the best diving and snorkelling on Cano Island, horse riding on the beach, and you’re likely to find a beach all to yourself without the need to look too hard. Costa Rica is the one place in Central America that I would highly recommend for family travel. It’s safe and well set up for tourism so you can feel secure knowing that your family and vacation are in good hands. Before long you’ll pick up on their Pura Vida lifestyle, which means “pure life” or “simple life”. Mexico Cassie knows Mexico isn’t always the first place you might think of for a family holiday but she thinks Mérida is a whole other ball game. This colonial city in the Yucatan Peninsula is one of the safest cities in Mexico and is consistently voted one of the best places to live in the world. It is also the only city in Latin America to win the ‘Cultural Capital of the Americas’ title twice (2000 and 2017). The city itself is split into two distinct areas: the crumbling but beautiful old town where locals and expats are working hard to restore it to its former glory, and the newer areas to the north of the city, where you will find every modern amenity, should you need it. Here your kids will never be unwelcome anywhere, not in restaurants, not during any festivals or dance nights on the Santa Ana Plaza and certainly not whilst exploring the city. While the water isn’t potable, this doesn’t mean you have to worry about salads, fruits, or drinks you pick up as no one drinks the water and everything is made with bottled water, even cheaper the incredible juices you’ll need by the gallon as you wander around the city. When you’re done with free walking tours, beautiful old churches and museums, take your kids on a horse and cart ride around the city, visit one of the two zoos (the one in town is older and not exactly modern but it has a nice little train and a good playground while the one out of town is much more modern and has a great weekend water play area for kids), gobble up incredible ice cream at Polá, take the kids to bounce on trampolines and bouncy castles with locals in Parque de las Americas after 5pm every day. 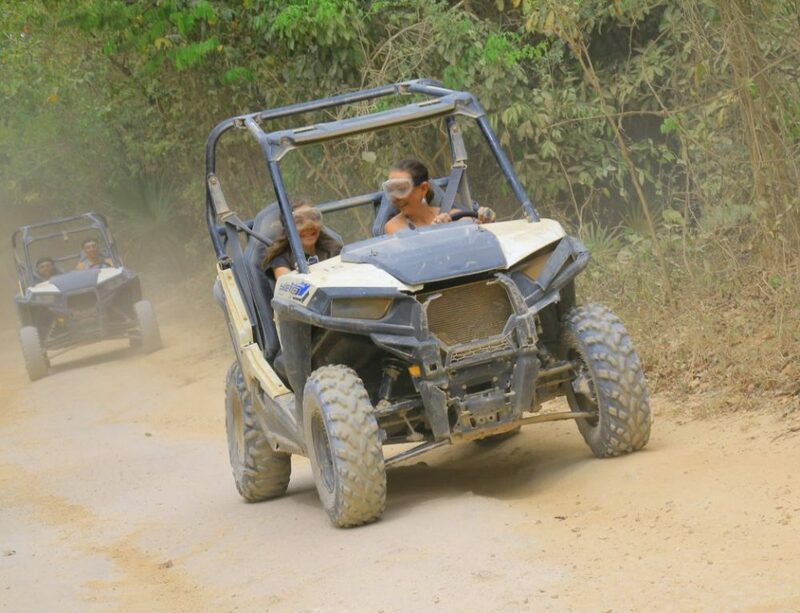 And then, only then, do you even need to start thinking about the incredible activities outside the city: from the archaeological wonders of the world (Chichén Itzá is only the scrapings on the barrel, quite frankly), to beaches just forty minutes away, Mérida’s location is incredible. Within an hour you can visit flamingos in their natural environment or within three hours you can swim with turtles and see monkeys in the jungle. Ever heard of cenotes? These are basically fresh water sink holes, a local phenomenon, revered by Mayans and enjoyed massively by all: grab a life jacket and jump in! Lake Garda is Travelling with our Kids pick for a family friendly destination. Just a few family friendly things to do in Lake Garda are heading to one of the Theme Parks like Gardaland. They are within a 10 min drive of Peschiera del Garda. Not only will the kids enjoy it, the big kids will too! For the animal lovers you could visit Parco Natura which has a safari drive around and the fauna park where you can explore on foot. If you wished to visit Verona, then it is only 20 mins by train from Peschiera del Garda. It is a great day out, exploring the streets, enjoying the Italian cuisine and learning about the history of the city. If you want great views of Lake Garda, head up the cable car to the top of Monte Baldo. The second cable car rotates 360 degrees, which our boys absolutely loved. Once at the top you can go hiking, or just make your way to the view points for some stunning views. Find a spot and enjoy a picnic with some serious views. If you are lucky, you may even see parachutists jumping from the mountain and flying down above Lake Garda. Not only are there many family friendly places to visit while at Lake Garda, but the locals were so friendly and were very helpful whenever we needed help. The restaurants were also great for kids, especially our boys who are gluten and milk free. We would highly recommend Lake Garda to families who love to explore but also to the ones who want to just sit back and relax. Whatever you love doing while on holiday, Lake Garda is the destination for you. Ireland is a fantastic country to visit with family. Famous for its stunning green scenery and friendly attitude towards visitors, the country is safe, beautiful and rich of cultural traditions that are sure to capture the imagination of adults and children alike. People come to Ireland for many reasons, ranging from nature to cultural attractions. According to Marta Correale from Learning Escapes you and your kids love to outdoors, Ireland is a real treat. The country has many hiking trails suitable for all ages and levels of fitness: near Dublin, the Wicklow mountains offer beautiful views accessible also to families with young kids, while the more remote West has hiking from moderate to strenuous as well as great surfing, cycling and horse riding opportunities. If you love beautiful scenery, but prefer to avoid strenuous activities, Ireland is the place for you. Some of its scenic drives (Kerry, Antrim) are stunning and they will make you see some incredible views from the comfort of your car! For culture lovers, Ireland has many surprises. Irish history dates back to prehistoric times and the country has many invaluable historical sites. Newgrange dates back to the Neolithic, mysterious round towers bring us back to medieval times and the countryside is dotted with castles dating back to different moments of Irish history. Ireland is used to tourism and the attractions tend to be well organized to receive visitors even when accompanies by young kids. The country is proud of their friendly attitude (they call it ‘Ireland of the welcomes’) and indeed, travelers of all ages feel welcome here. You can find more information and a family friendly Ireland itinerary here. Cape Town is an AMAZING city to explore with children. There’s not only the wonderful aquarium and of course Table Mountain and the breathtaking Kirstenbosch Botanical Gardens with the fun ‘Boomslang’ walk, but there are also many restaurants that totally cater for children. There’s Deerpark Café with a massive play park in front of the restaurant. Parents can enjoy mountain and sea views and kids can roam around while waiting for their meal. In case the weather is not playing along, there’s Primi Piatti in Seapoint with a massive indoor playground including child minders. Not even an hour from Cape Town you can explore the Cape Wine lands. At Spier Wine farm parents will enjoy a lovely wine & chocolate tasting while the kids can sample 2 different grape juices with wine gums. They’re also given an activity book. You can explore the wine farm with an audio walk from the Voicemap app. Download the app while on wifi and then download the free walk which will teach you all about the sustainable farming style of Spier and how they try to improve every single time. Colombia is one of World Trip Diaries top choices for family travel. It’s a very diverse country, which means you can have cool weather in the altitude, with all the big city amenities in Bogota, have the tropical weather and the Caribbean beaches of Cartagena, or even the eternal spring perfect weather of Medellin. All a short flight (or a rather long and maybe not very safe road trip) from each other, it’s a perfect place to make everyone in the family happy. It’s the home country for Fernando Botero and there is a lot of his artwork everywhere there to be seen. It’s a safe place to visit. Of course, there are the places you shouldn’t visit at night by yourself (like in any other developing countries) but it’s far from being the dangerous narcotraffic controlled country it once was. It was also one of the cheapest countries we visited in Latin America so far – including accommodation, transport, and food, which makes it perfect for big families. And the people are incredibly friendly, welcoming, and helpful. It’s probably the only country where we only met generous, lovely people. I honestly can’t name one thing I didn’t like there. It’s a wonderful place – though my kids are bound to say Cartagena was a little bit too hot for them and that we couldn’t find a movie theater with kid movies in English there. 2 Aussie Travelers recommends Japan and the northern island of Hokkaido as a top pick for families. It’s less crowded and intense than many other parts of the country which can make it less overwhelming for younger family members, but it still has all the unique culture, food and history that makes Japan such a fascinating and fun place to travel. If you travel in the winter time then the snow and ice festivals in Hokkaido are great fun for the whole family. There are 8 in total but the Sapporo snow festival is the largest. In addition to the vast ice and snow sculptures, there is family friendly entertainment and an entire site dedicated to interactive play for children. At the Tsudome site, you can whizz down ice slopes and slides on giant inner tubes or toboggans, take a ride on a snowmobile, have a go at traditional bamboo skiing on the beginner slope, hide out in an igloo or make your own snowman. Other popular snow festivals are in nearby Otaru and Asahikawa. Of course Hokkaido has some of the best powder snow in the world so if your family likes to ski or wants to give it a try for the first time a Hokkaido ski resort such as Niseko is a great place to start. While you’re there make sure to try out a traditional Japanese onsen to soak and relax after a day whizzing down the slopes or making snow angels, bliss! Hokkaido isn’t only a winter destination, though, like the rest of Japan the cherry blossoms in spring and fall leaves are popular times to visit and summer brings many fireworks and festivals. The space and diversity of natural spaces in this part of the country are also perfect for active family adventures including rafting, cycling and hiking. Japanese food is a highlight of any visit and you can get it all here, it’s one of the best places in Japan for super fresh seafood but it’s also famous for its produce and dairy. Most children will love trying the Hokkaido cheese tart which is like a less rich version of cheesecake and the creamy delicious local ice cream. The Crowded Planet highly recommends Jersey, a tiny island in the English Channel! Jersey is the southernmost island in the British Isles and despite its small size, it manages to pack in a whole variety of sights and activities, making it ideal for a family or multi-generational holiday. There are great beaches, and some of the most dramatic tides in the world – a low-tide walk is not to be missed and the little ones will enjoy collecting seaweed and shells, looking at anemones and seeing an environment that is normally underwater. There are also some great coastal walks – parents will enjoy the views while kids will love Jersey ice cream, which is readily available pretty much anywhere in summer. A place that the whole family will love is Jersey Zoo, opened by conservationist Gerald Durrell and supporting a whole host of conservation projects throughout the world. If you’re after a true adventure. it’s possible to go on ‘safari’ at the zoo and stay in glamping tents, giving you the feel of being in the wilds of Africa without having to worry about malaria or bugs. Another great reason to visit Jersey with kids is that the island is really small, so you won’t have to spend much time driving around, leaving you more time to enjoy your holiday! There are plenty of things to do in Lombok for you and your kids according to Wanderlust Storytellers! Lombok is still largely untouched by tourism, which means that you and your kids can spend a wonderful and relaxing time on this island. Apart from extraordinary and luxurious resort pools, there are plenty of things to check out around here. There are a number of stunning beaches, beautiful waterfalls, mountains and there is even a crater lake to venture out to. Alternatively, if you are after a more cultural experience, you can also visit one of the local villages. That way your kids can see how Lombok natives live, play and they can perhaps try some of the local yummy cuisine as well. Niagara Falls may have been known as a honeymoon destination, but the area is quickly becoming family-friendly according to the Two Traveling Texans. Both kids and adults will be in awe of the Falls and find plenty to do. It will definitely be a trip that the whole family will always remember. First, walk along the boardwalk and see all three waterfalls that make up Niagara Falls – the Horseshoe Falls, the American Falls, and the Bridal Veil Falls. If you want to splurge, I am sure the whole family would love to do a helicopter ride over Niagara Falls. After you have admired Niagara Falls from a distance you will want to get closer. First, I would recommend going on either the Hornblower Niagara Falls Cruise or the Maid of the Mist, just be sure to wear your ponchos. Further down the river, kids may enjoy the Whirlpool Aero Car which crosses the river high above some of the most intense rapids in the world. If you want to see the rapids up close, you can do the White Water Walk. Kids might also enjoy Niagara’s Fury, a 4-D experience or the 3D IMAX movie about Niagara Falls. In addition to the Falls related attractions, there is also an indoor water park, a Ferris Wheel, a huge arcade, a Butterfly Conservatory, and a miniature golf course. If you plan on seeing several attractions, there are some pass options which will save you money. For attractions on the American side of the Falls, you can purchase the Niagara Falls USA Discovery Pass. The Canadian attractions are discounted through the Adventure Pass Classic. Where are you headed in 2018? Leave a comment below! In my point of view Rotorua is a perfect place to enjoy family vacations in New Zealand. I also spent a really good time there so I would like to share here the names of some most fabulous things which you can enjoy on this awesome destination like hiking, walking, trekking, camping, kayaking, photography and nature viewing. The our some great choices here that I never would have even though of as family-friendly destinations. We live in Taiwan with our kids and I feel it deserves a spot on the list (would be happy to contribute actually if you would like it!). But definitely will be adding some of these to our family travel bucket list!